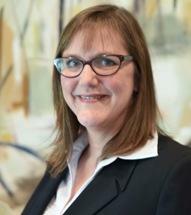 Alexis Bevis regularly handles cases in state and federal courts in Louisiana. Alexis concentrates her practice on defending general casualty and professional lines carriers focusing on casualty, commercial, and complex litigation in the fields of energy, manufacturing, highway engineering, construction negligence, premise liability, product liability, cyber litigation, and catastrophic loss. Alexis has successfully defended numerous cases; the following are illustrative: successful defense of in excess of one-hundred-million dollar exposure subrogation action against insurer of a dissolved inspection company alleged to have been responsible for a petroleum refinery fire and explosion; successful defense of child placement service for wrongful death of infant; successful defense of multi-million dollar exposure claim against engineering consultant alleged to have been responsible for the misperforation and failed recompletion of an oil well; successful defense of family services entity for the molestation claims of two minors; and successful defense of various State of Louisiana correctional facilities against claims of negligent bodily injury.